The first food related appliance connected to the Internet was a Coke machine in 1982, in Carnegie-Mellon’s Computer Science Department, so it should not be surprising that over 30 years later we have some Internet connected ovens. LG had an Internet-enabled microwave oven. The LG Lifestyle MG-5682NL is a microwave that lets you download recipes from an LG web site. Much more expensive (and awesome) is the TMIO intelligent oven, some models of which can also function as a refrigerators. You can preset cooking to complete before the Sabbath begins, and then automatically enter warming mode when the cooking cycle is complete. Your family’s meal will be warmed and ready to serve when you are ready for dining. This provides your family with a delicious, warm Sabbath meal, while effortlessly ensuring observance of the Sabbath. 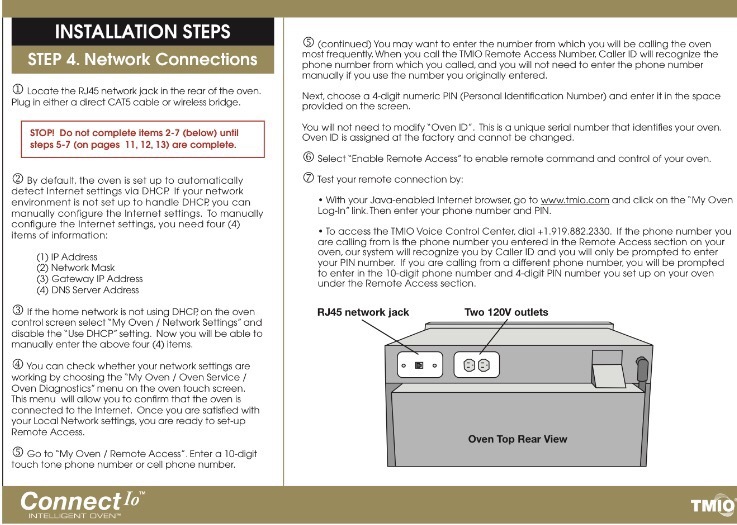 Since oven temperatures may not be set, adjusted or turned off on the Sabbath, Connect IOTM disables all oven controls with exception of the OFF button (if ever needed) after the SABBATH MODE is initiated. In addition, all other visible and audible signals—such as oven lights, displays, tones—are disabled for the Sabbath. Opening the oven door, for example, does not result in illuminating interior oven lights while in the SABBATH MODE. And, opening one of the oven doors will not activate the heating elements during the Sabbath time period you choose. 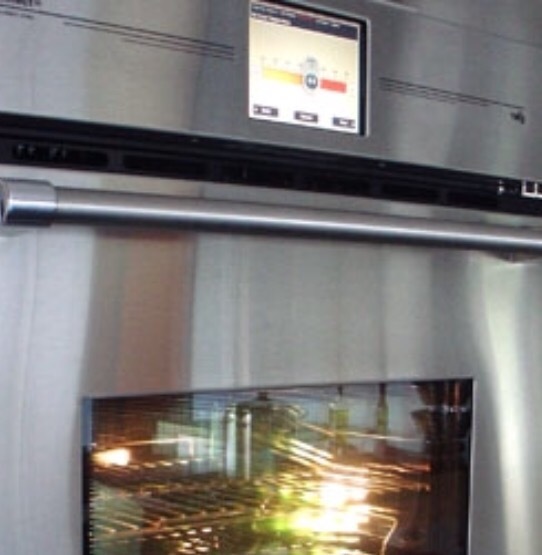 These exclusive Connect IOTM features prevent any inadvertent oven control, and enable you and your family to relax and enjoy meals with confidence during the Sabbath. Connect IO’s SABBATH MODE is easier to use, and gives you more Sabbath capability than any other oven model available today. Connection to the Internet for the TMIO oven is via network cable. 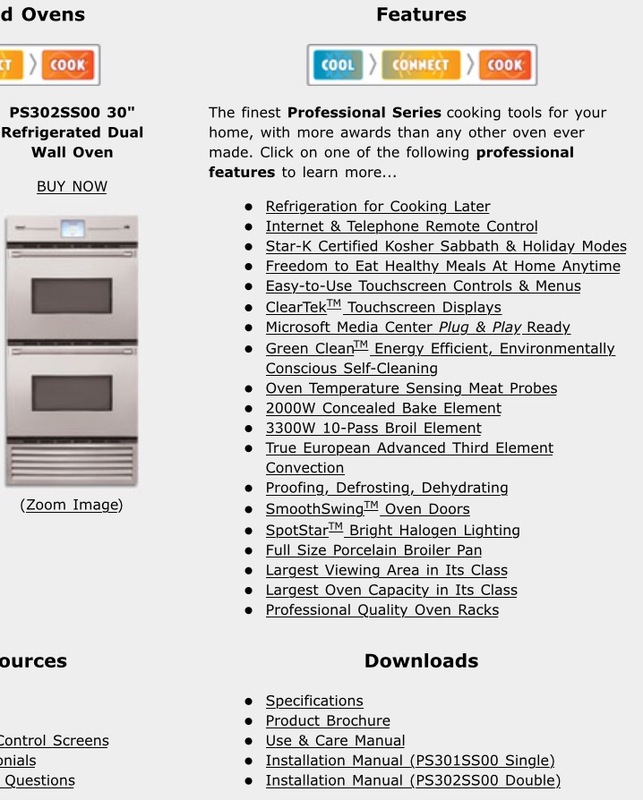 Connect IOTM PS302SS00 (double) and PS301SS00 (single) electric wall ovens feature both a professional cooking system and advanced refrigeration system. Refrigeration keeps foods fresh for cooking later—whether preset for automatic cooking, or manual cooking—or for remote cooking so that meals can be ready when you arrive home. Also great for extra cold storage, refrigeration mode can even be used to chill beverages until guests arrive. Ultimate luxury and convenience for your lifestyle. Dinner is truly ready whenever you are ready to eat. TMIO advanced refrigeration, plus remote command and control are based on NASA space technology, and available only from your Connect IOTM, the Intelligent Oven. Standard double and single non-refrigerated models are also available. The TIMO ovens I’ve seen aren’t microwave ovens, but a TIMO could be mistaken for one.